U.S. citizens or permanent residents of any race who demonstrate commitment to the Consortium’s mission of reducing under-representation of African Americans, Hispanic Americans, and Native Americans in leading business schools and the ranks of management are eligible to apply. As part of the Consortium application process, applicants will be asked to rank the schools to which they are applying. They must complete one required Consortium Membership essay about how they plan to support the Consortium’s mission during their MBA program and beyond and a second Consortium Core essay about their short- and long-term goals and why an MBA makes sense for them now. In addition, applicants must answer additional school-specific essays for each of the Consortium members schools to which they want to apply. Applicants must also submit a range of supporting materials, including transcripts, GRE or GMAT test scores, a resume, and letters of recommendation. Completed applications are forwarded directly to the schools indicated by each applicant, minus the Consortium Membership and Core essays, which are not shared with schools. The schools’ admissions committees then make admissions decisions based on academic ability, professional potential, and personal characteristics. Member schools will contact Consortium applicants directly to schedule interviews as necessary. Consortium membership is treated separately from school admittance. After an applicant is accepted to a member school, his or her commitment to the Consortium’s mission is then evaluated for Consortium membership. Consortium members are considered for two-year fellowships at members schools, which cover tuition and required fees. The rankings applicants assign to individual schools as part of the Consortium application determine the order in which schools consider applicants for Consortium Fellowships. If an applicant’s top-ranked school does not award the fellowship, the option passes to the next-ranked school to which an applicant has gained admission, and so on. Fellowships are ultimately awarded as part of an overall review of the merit of the candidate’s application. The decisions are made by the admissions and scholarship committees at the member schools, not by the Consortium. Decisions regarding fellowship are typically made in mid-March and will be communicated to the applicant by the school. The Consortium early application deadline is October 15th and the traditional deadline is January 5th. A preview of the 2017-2018 Consortium essay questions is now available, including school-specific questions for each member school. Note: The Consortium stresses that these essays were current as of July 15, 2017, but could change slightly before the application officially opens next week, so applicants should be sure to read each school prompt closely once the application goes live. 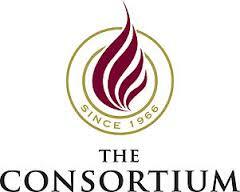 Learn more about the Consortium for the Graduate Study of Management. View a complete list of Consortium member schools.